On Thursday, April 30, the Breast Cancer Research Foundation (BCRF) hosted its annual Hot Pink Party: The Pink Standard at The Waldorf Astoria in New York City, raising a record-breaking sum of nearly $7 million. Honoring Mr. Leonard A. Lauder with the 2015 Roslyn and Leslie Goldstein “Sung” Hero Award, the room was elegantly designed in pink and gold to reflect the grandeur of Mr. Lauder’s incredible achievements, including his irreplaceable guidance in growing BCRF to become one of the largest private funders of breast cancer research in the world. 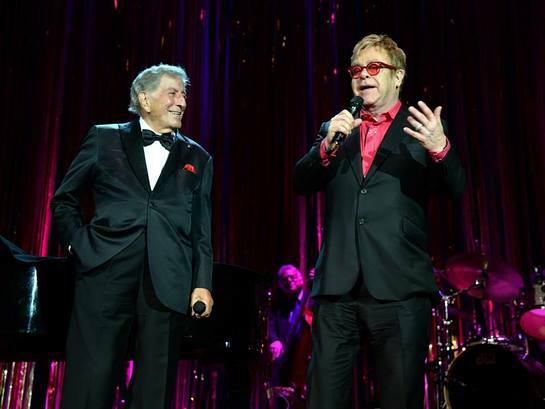 Hosted by supermodel and actress Elizabeth Hurley, a longstanding advocate and Global Ambassador for The Estee Lauder Companies’ Breast Cancer Awareness Campaign, with an appearance by Sir Elton John, the event featured a moving performance by eighteen-time Grammy Award winner Tony Bennett. Noteworthy guests included Leonard Lauder, Judy Glickman Lauder, William Lauder, Laura and Gary Lauder, Aerin Lauder, Jane Lauder, Jo Carole and Ronald S. Lauder, Sir Elton John, Elizabeth Hurley, Tony Bennett, Neil Patrick Harris, Tory Burch, Donna Karan, Zac Posen, Vera Wang, Amy Robach and Andrew Shue, Kinga and Edward Lampert, Alexandra Richards, Jamie Tisch, Lizzie and Jonathan Tisch, Alison Wright, Miss USA Nia Sanchez, Victor Cruz and Elaina Watley, Denise Bidot, Carmen Marc Valvo, Tom Arnold, Eric Decker and Jessie James Decker, and Caroline and Sidney Kimmel. With Mr. Lauder’s guidance, BCRF is the highest rated breast cancer organization in the U.S., funding 230 leading cancer researchers across six continents. The results are clear: since its founding by Evelyn H. Lauder in 1993, BCRF has been deeply involved in every major breakthrough in breast cancer prevention, diagnosis, treatment and survivorship. To date, BCRF has raised more than $550 million to advance the world’s most promising breast cancer research. 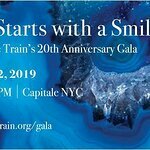 Event co-chairs included Tory Burch, Cindy and Rob Citrone, Marjorie Reed Gordon, Mindy and Jon Gray, Donna Karan, Michael Kors, Kinga Lampert, Aerin Lauder, Laura and Gary Lauder, Jane Lauder, Jo Carole and Ronald S. Lauder, Judy Glickman Lauder, William P. Lauder, Pat and John Rosenwald, Daryl and Steven Roth, Jeanne and Herbert Siegel, Ingrid Sischy and Sandra Brant, Jamie Tisch, Lizzie and Jonathan Tisch, Vera Wang, Lois Robbins Zaro and Andrew Zaro. A highlight of the evening was the auction for a stay at the Lauder family’s Palm Beach home led by Sotheby’s Chairman Jamie Niven. Town & Country’s “Event Planner of the Year” Bryan Rafanelli generously donated all design and decor elements for the evening, while Winston Flowers donated the glorious floral arrangements. The event’s underwriters included Rafanelli Events, Winston Flowers, ANN, INC., Rob and Cindy Citrone, von Mandl Family Foundation, Kinga Lampert, Brighton Collectibles, Conde Nast, Firmenich, Roslyn and Leslie Goldstein, Hearst Corporation, Caroline and Sidney Kimmel, Leonard Lauder and Nancy and Howard Marks. Breast Cancer Research Foundation (BCRF) advances the world’s most promising research to eradicate breast cancer. Founded by Evelyn H. Lauder in 1993, BCRF has raised more than $550 million to fuel discoveries in tumor biology, genetics, prevention, treatment, survivorship and metastasis, making it one of the largest non-governmental funders of breast cancer research in the world. This year, BCRF is investing $58.6 million in research, to support 230 researchers at leading medical institutions across six continents, including $11.6 million to the international Evelyn H. Lauder Founder’s Fund focused on metastasis. By spending 91 cents of every dollar on research and public awareness programs, BCRF remains one of the nation’s most fiscally responsible nonprofits. BCRF is the only breast cancer organization with an “A+” from CharityWatch, and has been awarded Charity Navigator’s highest rating of four stars 13 times since 2002. For more information, please visit www.bcrfcure.org.